The wounds of the patients on the wards of a special Medecins Sans Frontieres (MSF) hospital in Jordan reflect the brutal conflicts in the Middle East over the past few years. It treats injured Iraqis, Syrians and Yemenis, and provides physiotherapy and mental health services as well as advanced surgery. Over the past 10 years, surgeons there have performed more than 11,000 operations on 4,500 patients of all ages. Here are the stories of 10 of them. 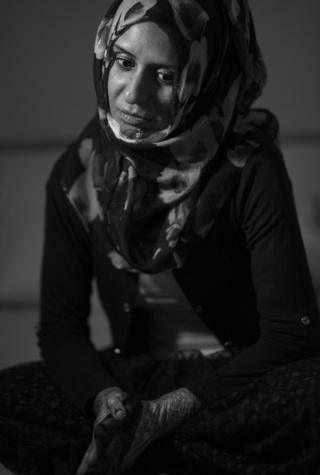 Shamsa was having dinner in Aleppo, Syria, with her family when a bomb hit her home. “In our family we love the moments of the meals, when we all eat together. We are five sisters and two brothers, so that moment is never silent,” she says. 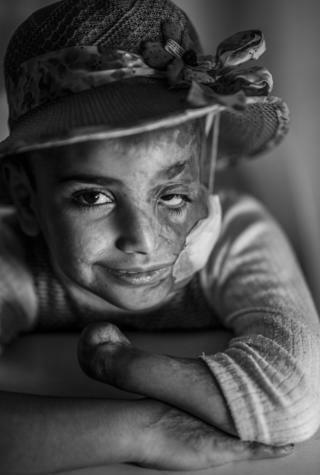 The explosion, which tore apart the family gathering, burned her face. Surgeons have now fitted a tissue expander to her neck to grow extra skin to help repair the scarring. 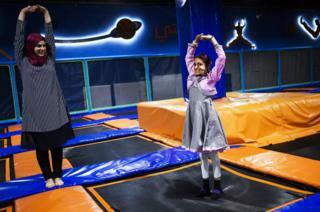 Aisha, nicknamed Ayyoush, is from Yemen. 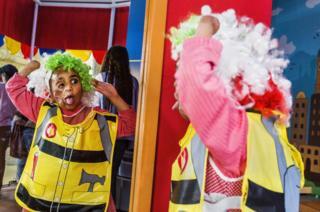 She loves dancing as well as collecting balloons and roses during trips out of the hospital. 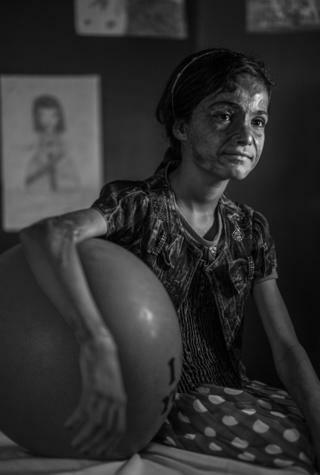 She was six months old when a candle set fire to her face and left arm. 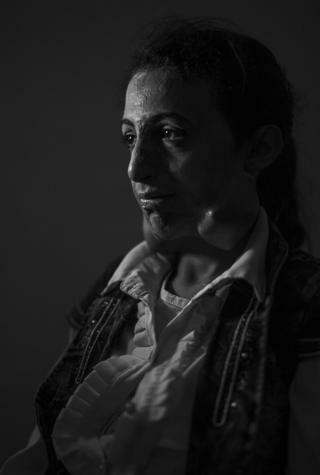 She had four operations in Yemen before being referred to the MSF hospital, where they’re aiming to reduce her scarring and prepare her for a prosthetic arm. 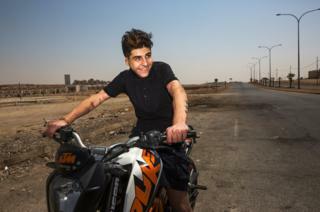 Yousef from Baghdad loves motorbikes. One day, at sunset, a group of masked men stole his bike and set him on fire. 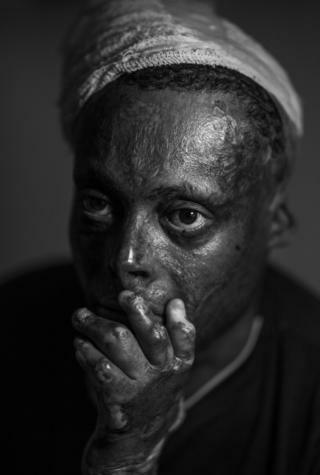 He was so badly burned that his chin was welded to his neck. Now, after multiple operations, the 17-year-old can drink, eat, and dress himself again. He has recently got back on a motorbike, for the first time since the attack. Qatada drove over a mine in Aden, Yemen in 2015. He was blown out of the seat of his car. One of his legs was lost and the other was amputated at a hospital in Yemen. His arms were both injured. After multiple operations, including a nerve transplant, he can now dress himself. Since his injury, he and his wife have had a third son and hope, one day, to move to the West. 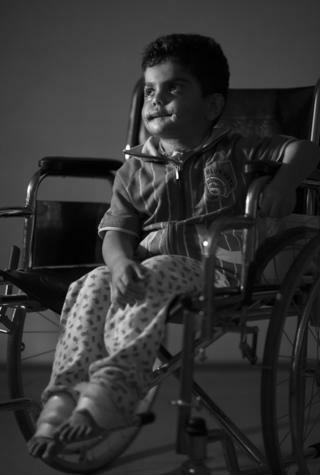 Manal from Iraq was injured in a missile explosion in the northern city of Kirkuk in 2015. Her mother and two brothers had moved there for safety after the so-called Islamic State took over the town of Hawija. The 11-year-old loves drawing, reciting stories and playing the guitar. 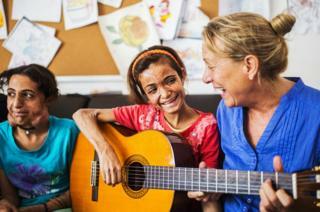 She has made lots of friends at the MSF hospital. 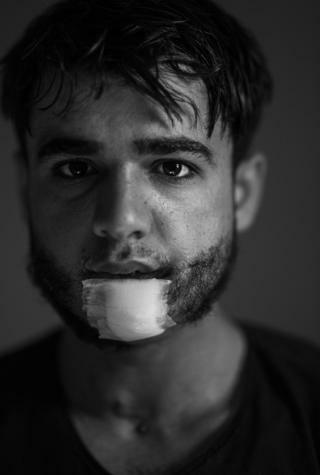 In November 2016, he was grazing his sheep outside Homs when a grenade tore apart his chin and teeth. He was unable to speak and eating was excruciatingly painful. He has learned to read and write in the MSF hospital and is “90% better.” He now longs to return to family and friends in Syria – and to his sheep. 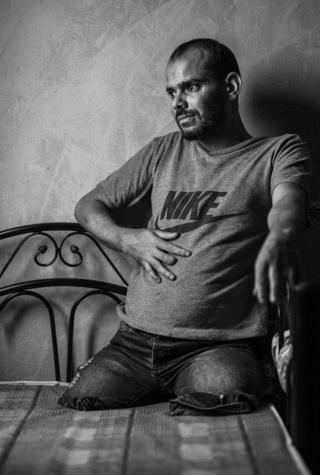 Ibrahim from Yemen escaped his home in Sanaa in 2015 after a bombing. His injury was caused by drinking from a bottle of drain opener at his grandmother’s house. 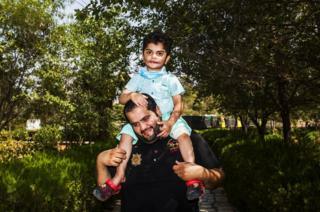 The acid burned his mouth and fused his lips together, leaving him unable to speak or eat solid food. After multiple operations, the four-year-old can now open his mouth for the first time in more than two years. His father is teaching him to speak again. Wa’el, a keen footballer also from Yemen, has had 28 operations. That is one for every year of his life. 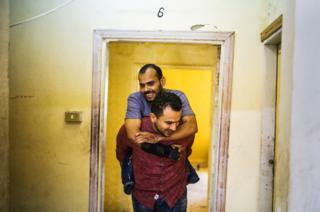 He was injured during the 2011 uprising against the former President, Ali Abdullah Saleh. 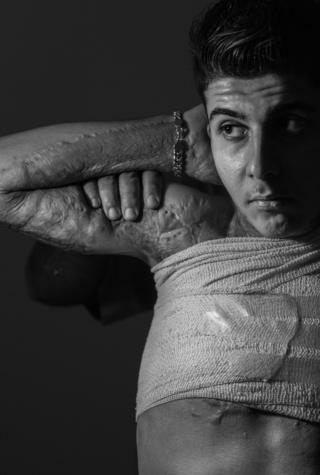 Police responded to protests with force and Wael suffered third-degree burns to his face, back, arms and legs. He can now move his face and hands again, and play football. Amal, a tailor from Iraq, was injured in Kirkuk when a car bomb went off as she was shopping with her grandmother. The 23-year-old says her own son could not recognise her. 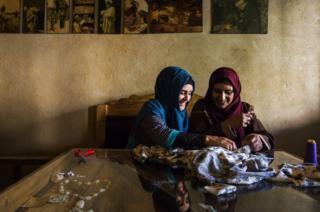 After multiple operations, she can now knit again and is sewing a dress for a cousin back in Iraq.